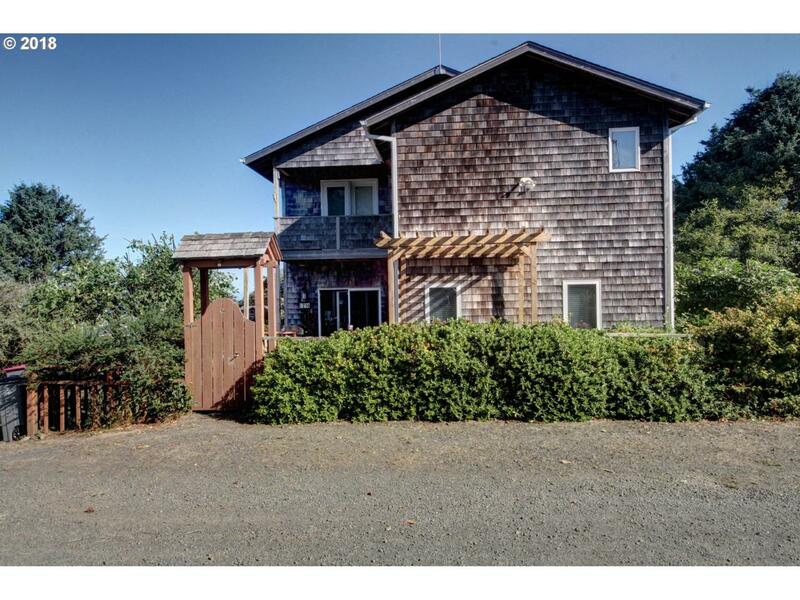 Beautifully designed and built, custom home quietly nestled in the south end of Cannon Beach. Spacious main floor features: Main level bedroom & adjacent bathroom, vault ceiling, gourmet kitchen w/ gas range & beautiful cabinetry, living rm w/gas fireplace; Front & back decking to enjoy the cool breeze, morning sun, & brilliant evening sunsets. Master bedroom en suite w/ deck & adjacent office area. Bonus rm & bathrm on lower level.